All Metmachex swingarms are engineered to the highest standard. Most of the swingarms shown in the list to the right are in stock, all prices are inclusive of VAT. Any swingarms currently not in stock can be ordered and delivery will take approximately 6 weeks from receipt of the order. Our courteous and efficient sales team will be happy to quote on any of our products and will advise on any custom job that you require. We accept the following credit/debit cards: Visa, Mastercard, Delta, Electron, Switch, Maestro and Solo. 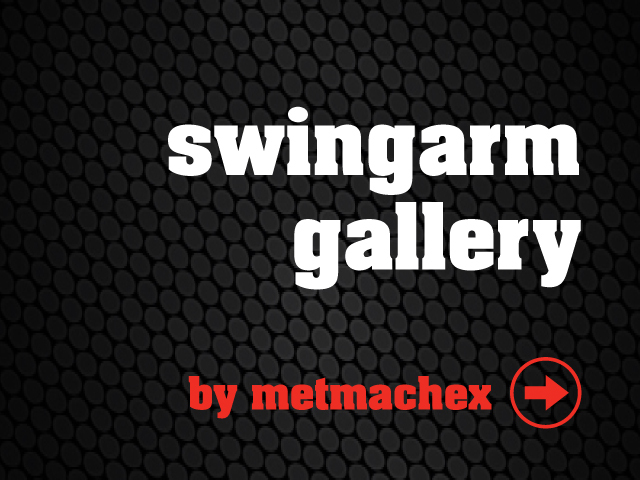 To view some of our recent swingarm installations please see our swingarm galley.